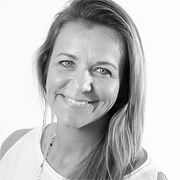 Ellen has almost 20 years of professional experience in the areas of branding and design strategy, and also works as a Professor of Strategic Innovation and Design Thinking at ESPM in Brazil. Ellen has balanced her career between independent professional practice, education and institutional organizations. She has worked for the design agencies a10 Design, Oz Design, 100% Design and VRDResearch, as well as organizations such as Abedesign, where she has been a director for 4 years. In addition, she has taught Design for almost 10 years as a Professor and Lecturer in numerous institutions and regularly writes articles and columns in diverse publications. She has a BA in Communication and Marketing from Mackenzie University in Sao Paulo, as well as a Master in Communication and Consumer Practices from ESPM and Post Grad in Design Management from the University of Arts in London.